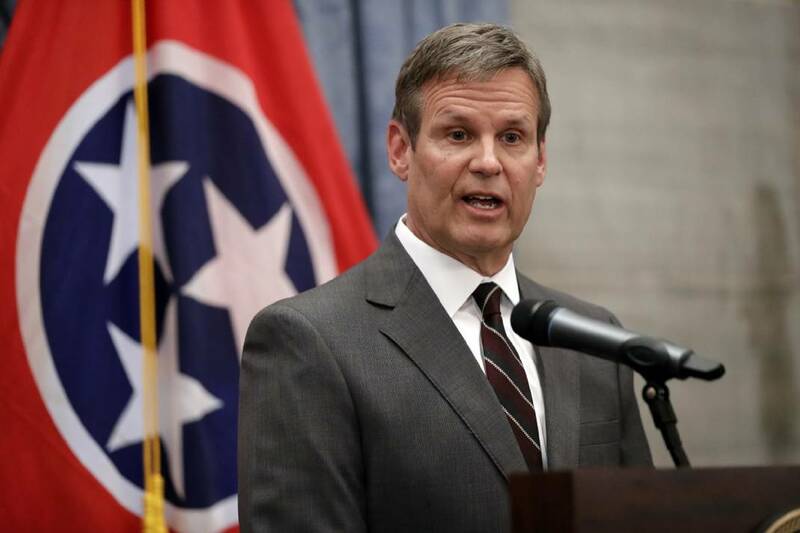 NASHVILLE — Fresh off his decisive victory in Tennessee's gubernatorial race a day earlier, Republican Gov.-elect Bill Lee said Wednesday he is "ready to go to work" and is now putting together the team to carry out the promises he made to Tennesseans as he prepares to become the state's 50th governor in January. Lee, a political newcomer who defeated Democrat and former Nashville mayor Karl Dean with nearly 60 percent of the vote, met with term-limited Republican Gov. 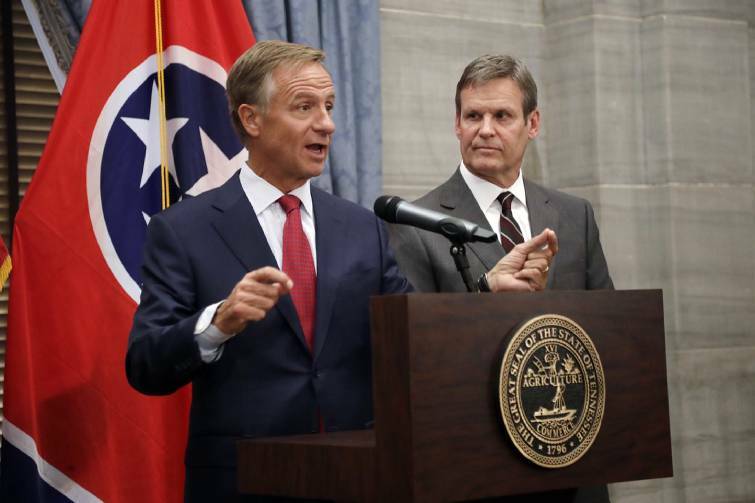 Bill Haslam on transition plans leading up to his Jan. 19 inauguration. During his campaign, the 59-year-old businessman from Franklin laid out a vision but was sometimes short on specifics in areas such as how he plans to reduce health care costs and how far he plans to go in areas such as school vouchers. "We have clear and defined ideas about where we want to go," Lee told reporters at a state Capitol news conference with outgoing-Gov. Bill Haslam, with whom he had met earlier to plan the transition. Saying he was "really excited about giving the steering wheel" to Lee, Haslam said he is "committed to making this the best transition in the state of Tennessee." The governor also said each of the state's 23 executive branch departments, as well as agencies, are providing "what we're calling a continuity of state operations book that they are ready to hand to their successor." Haslam said the "difficult part of this job is you come into this job and the legislature gives you a little break" on presenting the state's budget to lawmakers on Feb. 1. But the month-long extension isn't a huge break, considering the annual spending plan stands at $37.5 billion. The governor said his commissioners, some of whom could be asked to stay on in the Lee administration, know the "highest priority now" is to help Lee's team. And like most outgoing governors, Haslam will lay out basic areas in the proposed budget. Lee has yet to publicly announce members of his transition team. As for who will be asked to join his administration, Lee said "clearly we're immediately starting that process and we will immediately begin to interview and talk to current commissioners and consider what those positions will look like. So those conversations will start today." He noted that on the campaign trail, he spoke "extensively" about his "belief that we need to strengthen vocational types of education. We'll be looking at real plans for that. We have talked a great deal about lowering your recidivism rate by looking at real criminal justice reforms, sentencing reform, re-entry programs. "We'll certainly explore those," Lee said, noting he wants a focus on job creation and economic development, particuly in the rural communities and those that are struggling. "We have 15 distressed counties and we want to look at policies that will strengthen up those communities," he said. "And then we want to begin to look at how is it that we immediately address the escalating, rising costs of health care. Those are things that we will develop clear strategies for going forward." The governor-elect praised Haslam for his achievements over the last eight years, saying the governor laid a "firm foundation" on which he will build. Lee is owner of Lee Company, a building and construction services firm that employs 1,200 plumbers, electricians and other workers. The company has had contracts with both Tennessee government and a number of local governments. The Associated Press reported recently that a recent public records review showed the company no longer has a large state contract providing plumbing, electrical and HVAC services after the firm chose not to renew it at the end of the August. The company does have local government contracts. Lee told reporters he is working on restructuring the company "in a way that's clear and transparent but also provides for there to be no conflicts of interest going forward. That would be our plan."